Northern Virginia’s FELON got started painting two-tone characters influenced by ETCHR and JOKER. Usually accompanying the pieces from members of his crew ELW. Soon his skills were such that his characters stood alone, and as he bombed more, his letter styles developed further. 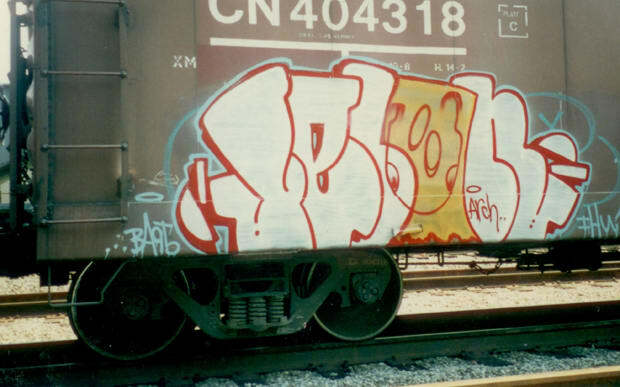 Felon painted in DC for several more years before heading to the west coast and contributing heavily to the San Francisco graffiti scene. His character style is still emulated by many.